Students are getting more engaged in the political landscape. Yet, some are exceeding voting and becoming involved in campaigns. 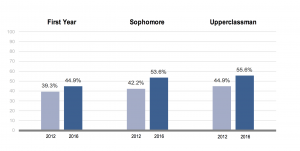 In 2016, 5,101 Chapman students registered to vote, but only 2,638 students voted in the national elections, according to Chapman’s Civic Engagement Team in partnership with the Center for information and Research on Civic Learning and Engagement at Tufts University. However, Tufts University projected that around 31 percent of people ages 18 to 29 voted in this past Midterm, a substantial increase from 2014, when only 21 percent of eligible young voters went to the polls. Perhaps millennials are no longer buying into the common myth that their individual votes don’t count in the large scope. 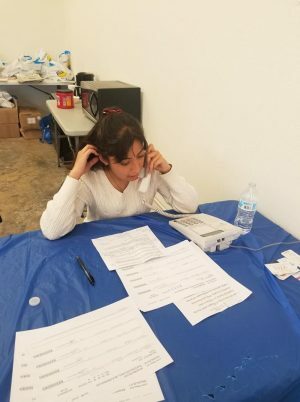 In fact, their impact was visible this year, as analysts credit young people for the increasing shift toward the Democratic Party, known as the “blue wave.” This was seen in Orange County specifically, an area historically dominated by Republicans. Voters elected Democrats to represent all six of the county’s congressional districts, four of which were previously run by Republicans. After a race that was too close to call for more than a week after the election, Katie Porter defeated incumbent Mimi Walters in the 45th district. When she officially joins the House of Representatives in January, she will be the first Democrat to do so from the district that includes Orange and other surrounding cities. News sources geared towards young voters, like Millennial Politics, wrote an article titled “Young People: If we vote, we can elect Katie Porter in California’s 45th Congressional District.” It argues that movements led by and for young people are bringing attention to voices that have so often been ignored. Going even further than just voting, students like Hannah Richardson, are becoming involved in campaigns as well. 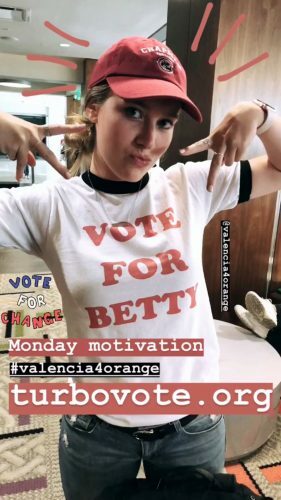 The junior political science major, campaigned for Democrat Beatriz “Betty” Valencia during her run for Orange City Council, spending 10 hours attending meetings, working phone banks and hanging posters. 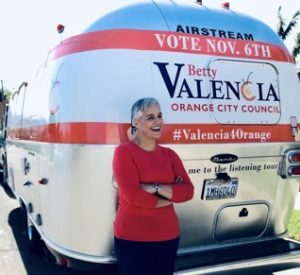 Identifying as queer, born to Mexican immigrants and being a woman in a male-dominated political arena set her apart from other local candidates. Her campaign promoted inclusivity and and welcomed people of all backgrounds to join her on her hopeful path to victory, which several other students did. Although Valencia did not win in the election, Richardson is optimistic about the future. Orange City Council offered no explanation of the ways that the second council sear could be filled. 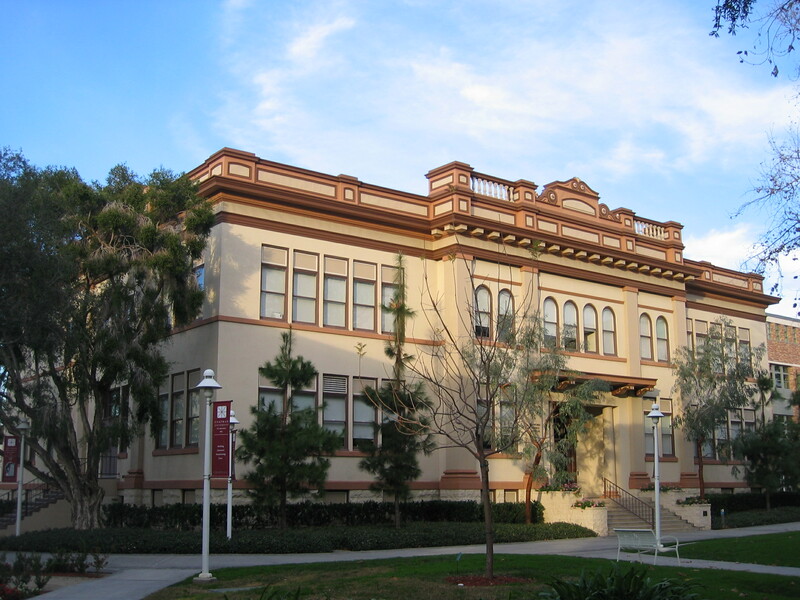 In order to further increase student engagement, Alexis Sutterman, president of Chapman Democrats, brings voter registration cards to her classes and even mails them in on their behalf. 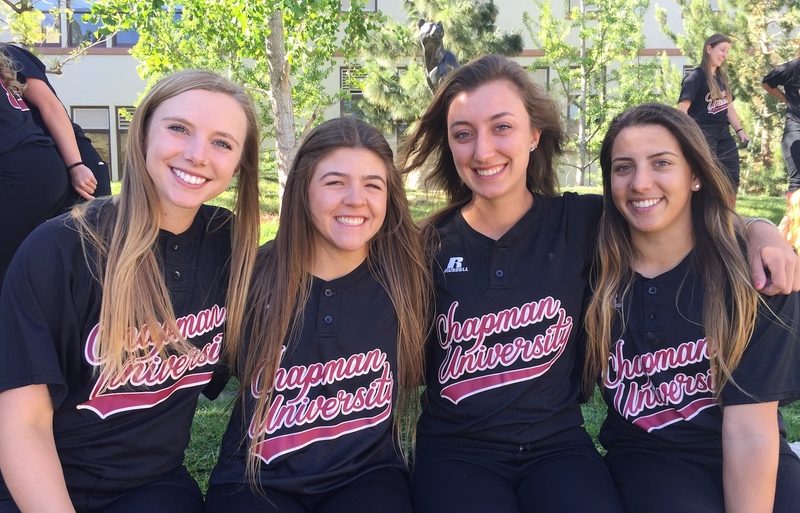 “I think that Chapman students seem to be getting a little bit more involved in politics, but there is still a long way to go before I can confidently say that the majority of students are politically engaged,” Sutterman said. She has seen a growth in students’ political interest over time, but doesn’t understand why others still don’t seem to care. Another volunteer for Valencia, senior integrated educational studies major Zoe Bonfield, also feels strongly about the negative effects of disengagement. “So many of our basic human rights are being threatened and the state of our nation is entirely unacceptable, we can’t just ignore that,” Bonfield said. 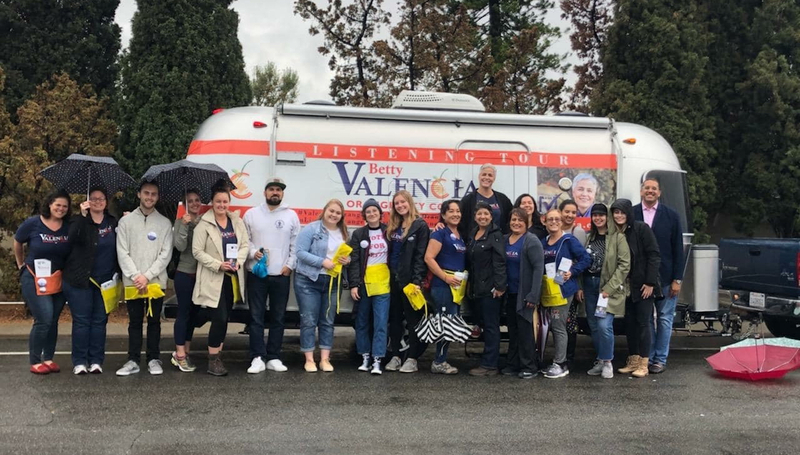 She dedicated 12 hours to Valencia’s campaign, determined to start making a difference, rather than sitting back and allowing others to do so. “We don’t have a choice to not be involved. We are tired of the older generations deciding things that will hardly affect them, but will affect us for the rest of our lives.” Bonfield said. 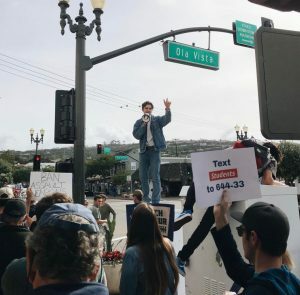 Other young people like Jackson Hinkle felt this way too, as the 19-year-old Saddleback Community College student decided to run for the San Clemente City Council, on a pro-environmental platform. “I’m sure it was difficult for a lot of people to consider voting for a 19-year-old,” Hinkle said. Younger voters tend to lean toward the Democratic Party, but their turnout typically drops in midterm elections more than that of older groups, according to The Washington Post. While young people’s political leanings skew progressive, they traditionally don’t vote as much as older people with conservative views. For example, in the Texas midterms, around 1.6 million conservatives voted. While about 1.1 million Democrats voted, according to research done by the state elections departments. 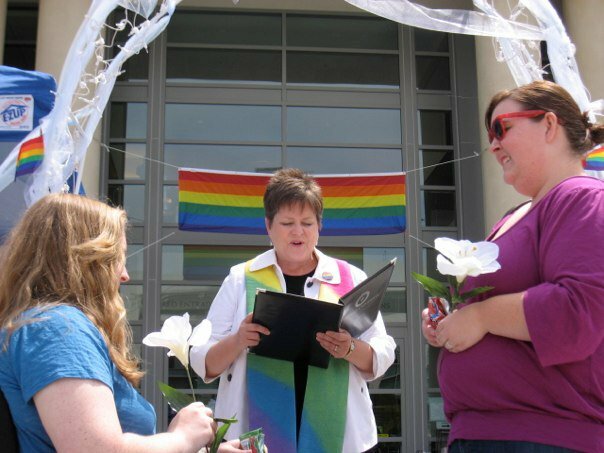 Hinkle will be running as a delegate for the California Democratic Party and for the San Clemente City Council again in 2020. College campuses are beginning to create a larger push for students to vote and participate in politics. Chapman’s Civic Engagement created “CU At The Booths” and “So You Think You Can Vote?” information-based web pages in October. According to the Pew Research Center, 70 percent of Americans use some form of social media. Major social media influencers, like the Kardashians/Jenners, took to their social media accounts to encourage their combined 516.5 million followers to vote. Facebook, Twitter and Snapchat created geotags and hashtags that users could place in their tweets and photos signaling to their followers that they were going to vote or already had. Chapman students are becoming more involved in exercising their civic duty to vote. The next hurdle is getting students to become involved in the campaigns.